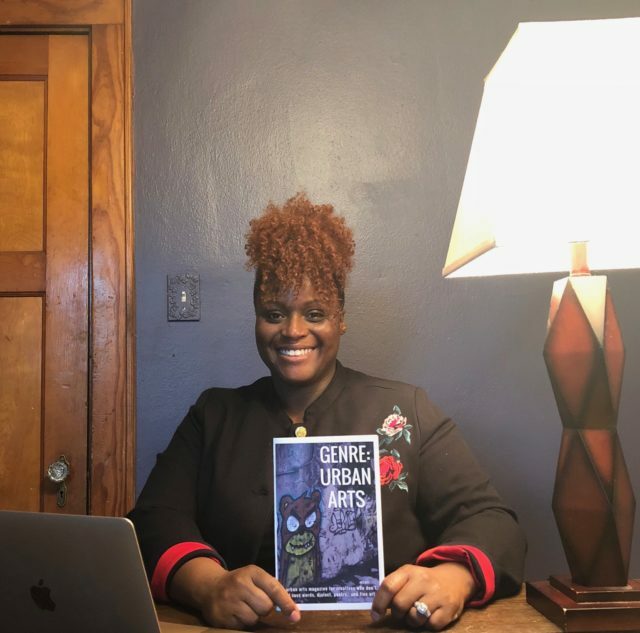 Milwaukee native and educator Nakeysha Roberts Washington founded Genre: Urban Arts in 2016. Nakeysha, who is an English teacher, always had a passion for Hip-Hop, poetry and writing. “I remember as a kid I would pretend to be sick so I could stay home and make books,” said Nakeysha. Starting a magazine was always a goal for Nakeysha. Creating Genre: Urban Arts was in the back of her mind for years. Suddenly, she took the plunge. “As I’m getting older, I don’t want to look back and say ‘well, I should’ve done this thing,” said Nakeysha. 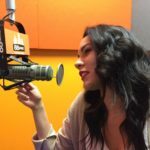 What began as an online blog with a few local contributors sparked into a published magazine with global contributors. Nakeysha recruited students and friends to contribute to the blog. They also tracked down people who would be interested in getting their work published. Instagram became the best recruitment and marketing tool for Genre: Urban Arts. This recruitment method brought in artists from all over Europe, even reaching South Africa. Stefania Morgante, an artist from Italy, designed the cover of Genre’s first magazine. The magazine is currently published seasonally, but Nakeysha is working towards making Genre: Urban Arts her full-time job. The second magazine is set to release November 1, and will be tackling the topic of double standards. The magazine can be found online as well as Riverwest bookstore Woodland Pattern. Nakeysha is working on selling her magazine at other local shops. Nakeysha and her team are also creating social media and marketing plans that will bring their local contributors and global contributors together. On November 18, Genre: Urban Arts will host a release party for the release of volume two of the magazine. The party will include an art exhibition, an open mic, an art presentation with featured artist Kevin Boatright. The party will be hosted at Muse 33 in West Allis from 6 to 10pm.